Product #151 | SKU 1-20-0001 | 0.0 (no ratings yet) Thanks for your rating! 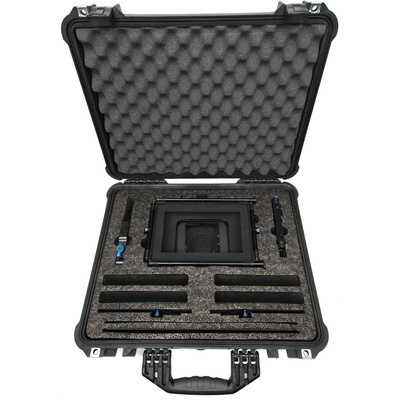 The Redrock Micro microMattebox Hard Case with 15 mm Foam (Black) is designed to carry a Redrock Micro microMattebox standard or deluxe bundle and 4 Microfilters. It is made from ultra-high Impact structural copolymer with an open-cell core with solid wall design and a custom-cut foam interior. It is carried by a comfortable, rubber over-moulded, fold-down handle.